Thanks for being here. You ended up here while searching for information regarding forex trading. This is a forex blog with free forum. To find your broker, be sure to read our forex brokers review. Trading forex is like watching a school of fish move. One minute is total harmony, the next, complete chaos. As the observer of this school of fish, do you believe you can accurately predict the direction the school of fish will move each time? Would you bet on it? What causes the fish to move the way they do? Why do they work together in one moment, moving with force and precision, and move in what seems to be an infinite number of directions the next? There’s no way to know unless you can feel what the fish sense each time they move. The fish have an instinct about the nature of their environment. They understand the context of all things around them – natively – and can react accordingly. Surely if you shared this understanding you’d be a much more accurate predictor of fish movement! Trading forex is not much different – we need to develop that keen sense of what is happening around us. Will we ever be able to predict every move in the forex markets? 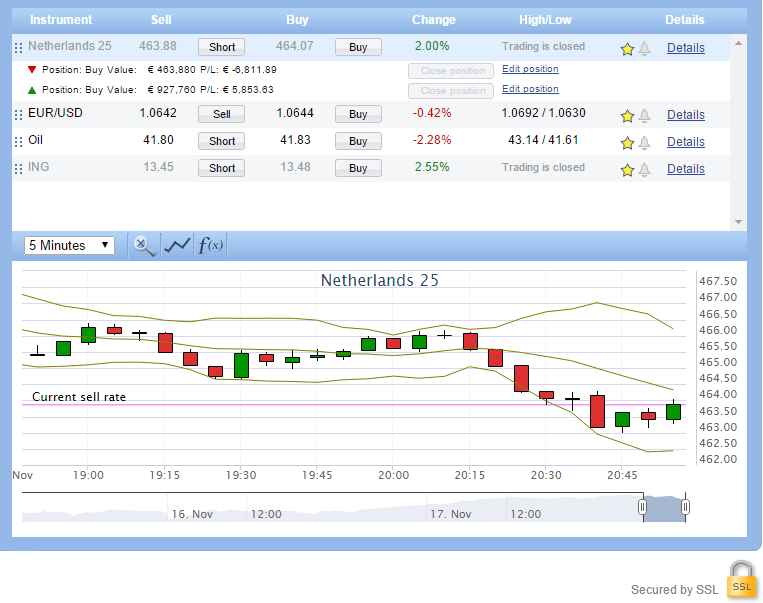 Below you can see a charts based on the Forex Live Rates. Follow the trend in Forex. Is the forex rate going up or down? Forex trading is not a ‘get-rich-quick’ scheme and it is more difficult to make money in Forex than what most popular Forex system-selling websites would have you believe. To trade profitably we must not only have winning trades, but we must also cut our losing trades short so that our winners out-pace our losers. You see, losing is an enviable part of trading the Forex markets, and you must learn to lose properly by taking small losses relative to your winners. This means you must A L W A Y S trade with a stop-loss on E V E R Y trade you take and make sure the dollar amount you have at risk is an amount you are 100% comfortable with losing. Professional Forex price-chart traders have a winning edge which is developed via Technical Analysis (more on this in Part 4). There are also Fundamental Analysis traders and traders who use a combination of both analysis techniques; we will discuss all of these later. A professional Forex trader understands that reading a price chart is both art and skill, and as such, they do not try to mechanize or automate the process of trading as each moment in the market is unique, so it takes a flexible and dynamic trading strategy to trade the markets with a high-probability edge. Before putting our tips to the test, be sure to read our Risk disclosure. Second of all, think before you act. It is possible to earn money in forex trading with the right forex strategies, but always keep playing the market with you head. Think twice before you act! Both Plus500 and EasMarkets offer multi platform software for trading. Trades made on the Plus500 system are free of commissions. But you have to pay a nightly fee when a keep a position overnight. With EasyMarkets you have to pay a fixed spread in pips. Te exact amount depends on the order itself. 24Option is a broker who provides the binary option system. With this system you are able to make trades with a 60 seconds window. The revenues can go sky-high, to 85% at most! Read more about binary options on this page.